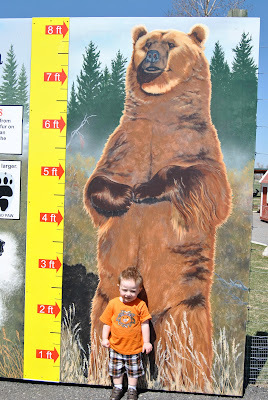 Yesterday we went to Bear World for their opening weekend. It was the first time that Carson and I have gone. 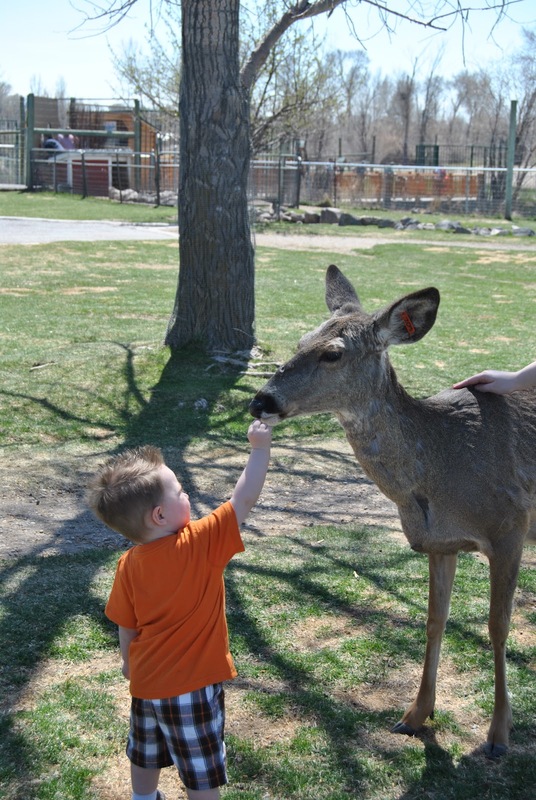 Carson had a really good time while we were there! We went with Carly, Will, Ashley, Shaun, Kenzlee, Brock, and Joslyn. Holding hands with Kenzlee and chasing the ducks! 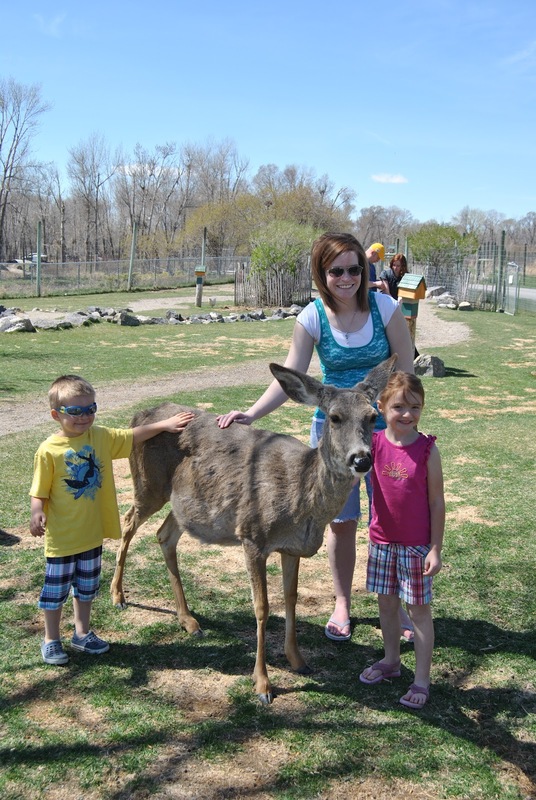 He grabbed "Tinzlee's" hand the second she got there and started pulling her along. It's cute how much he loves his cousins! He would only give the deer one piece of food at a time and would say, "Yumm...... more." 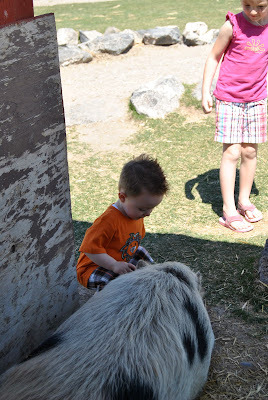 While we were there they had an Easter egg hunt because the bears were still sleeping during Easter. Carson did a good job finding eggs. He is an expert now! He got lots of candy, free fudge, a free bouncy ball, a soda, a scoop of ice cream, and a pressed penny. 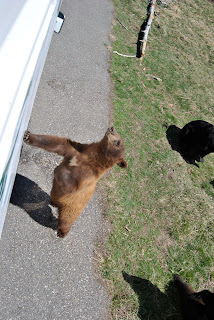 We decided that we wanted to feed the adult bears by taking the tour truck through the park. It was really fun because the bears would come right up to the side of the truck and some of them would sit up or wave for treats. 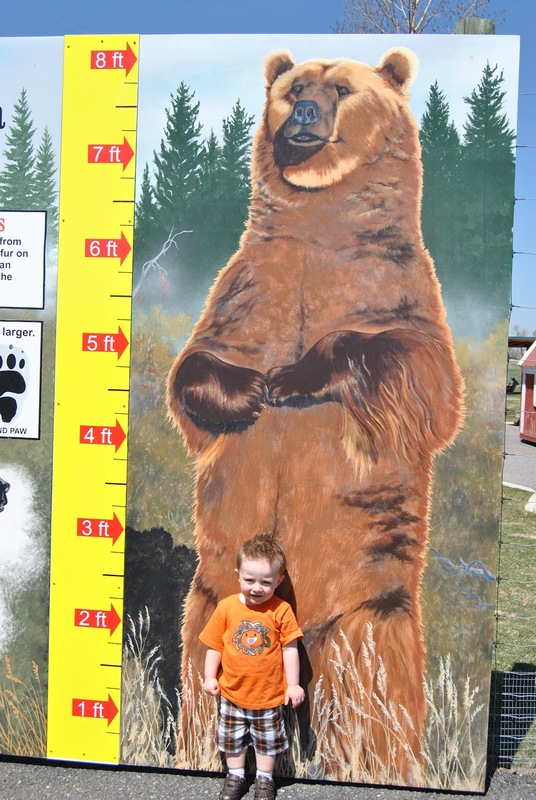 Carson was pretty much done, but he would still point and say "Bear" or "Anibal" when he saw deer or elk. It was a really fun day and it felt like Summer!! We aren't used to it being this warm in April so none of us thought to put on sunblock. The boys got nice tans while all of us white girls got burned. Unfortunately, Carson got my skin so he got a little pink. Next time we will remember to put on the sunblock!